Tribal Development Department , Government of West Bengal, invites Online Application from eligible candidates for recruitment to the post of “Data Entry Operator (DEO) on Contractual and temporary basis for 1 year tenure basis. 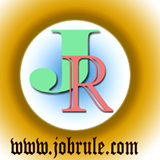 Latest Data Entry Job in West Bengal. To read more details about West Bengal Tribal Development department Data Entry Operator Job 2018 and to apply online & Download Admit card, simply go through below given advertisement link .